When the people fear their government,there is tyranny. It is time. Time for citizens of Harris County to stand up. Time to stand up against The Harris County Department of Education (HCDE) Board of Trustees. A Board which was elected to “serve” we the people – but instead is using our education tax dollars as its own private slush fund to support its liberal causes. What has the HCDE Board done? It has approved our EDUCATION TAX DOLLARS to pay for a lawsuit that it claimed was only to make sure their board elections were legal – but ended up being a lawsuit to challenge the new redistricted boundary lines of the Harris County Commissioners. Who benefits from this lawsuit? The Democrat Party. By re-drawing district lines for the County Commissioners, the Democrats could gerrymander their way to more seats on the Harris County Commissioners’ Court. So, you would logically conclude that the HCDE Board of Trustees is dominated by Democrats. But, you’d be wrong! Trustees who claim to be Republicans hold a 5 to 2 advantage versus declared Democrats. Either these Pseudo Republicans totally deceived the voters of Harris County when they ran on the Republican ticket, or they are totally clueless about Trustee responsibilities to oversee the actions of the HCDE administration. Either way, their conduct in this matter borders on corrupt and criminal. At minimum, it strongly suggests complete incompetence. And to make things even worse, the HCDE lawsuit was filed against the people it is supposed to serve !!!! HCDE’s Board of Trustees is suing Harris County. That means the Harris County taxpayers have to pay for BOTH SIDES of this lawsuit. So, no matter what the outcome, Harris County taxpayers lose and have to pay the entire legal bill, which could end up being hundreds of thousands of dollars. And there is another issue at hand. As we learned by watching ACORN operate over the years, counties don’t have large sums of extra cash in reserve to fight lawsuits, so they usually “settle.” And when they “settle,” the conservatives always lose and the liberals get exactly what they wanted all along, using the taxpayers’ own money to get it. If this were a great con game movie it might be fun to watch. But when it is REAL PEOPLE, REAL TAXPAYERS, and REAL MONEY there is nothing fun about it. This is OUR COUNTY and OUR MONEY the HCDE Board of Trustees is using to forward their own LIBERAL AGENDA – so, it is up to US to STOP IT! First, remember we elected these seven people to REPRESENT US, not to con or use us. Third, memorize the names and faces of these four Board Members so you will remember NEVER to VOTE for ANY of them again. If you’d rather call, you can leave a message for your Board Member through the HCDE Superintendent's Office because, by law, he is the Secretary of the HCDE Board of Trustees (but has no voting privileges.) Please be firm but respectful. Last, we need to all show up at the next HCDE Board of Trustees Meeting on Tuesday, August 21, 2012 at 1:00 pm and let them all know what we think about the use of our own money to stab us in the back. 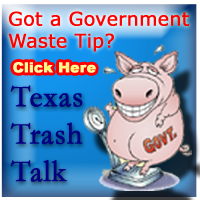 If you’d like to do more, you can send a quick email to the Texas Sunset Advisory Commission recommending the Legislature abolish this dinosaur organization and stop this waste of taxpayer dollars for good. Does HCDE Really Respect the Rule of Law? The Harris County Department of Education (HCDE) is refusing to drop its lawsuit against Harris County claiming that HCDE’s own failure to report their redistricting boundary line changes to the County Tax Assessor before the primary election is somehow the County’s fault. HCDE is asking a federal judge to void the primary election results of two out of the three County School Trustee races. It certainly sounds noble. But, I suggest people look more closely at just how much respect HCDE has for operating “legally” within the Texas Education Code before believing that HCDE’s purpose behind this lawsuit has anything to do with respect for the rule of law. Lets start with Texas Education Code (TEC) 18.14(a-b) which directs the HCDE Board of Trustees to distribute the county property tax they collect to the Independent School Districts (ISD’s) in Harris County according to the number of students enrolled per district, after paying the administrative costs of the board and superintendent. In the 2011-12 school year, the total tax collected was approximately $18 million . How much did each ISD receive this year? That is how much respect the HCDE Superintendent and Board of Trustees have for the rule of law when it comes to TEC 18.14(a-b). Another law, Texas Education Code 18.28, specifies that the local property tax collected by HCDE is to be used for the ‘equalization of educational opportunities’ in our county and that no part can be used in any school district that does not levy a tax for school purposes. Yet, the HCDE Superintendent and Board of Trustees have approved HCDE as a “service provider” for government entities and non-profits all over the United States. Comanche Electric Cooperative Association, Inc.
Another law, Texas Education Code 18.26, states that the education tax collected by HCDE is part of the school funds of our county and can never be used for any other purpose. But the HCDE Superintendent and Board of Trustees have re-arranged the wording of other laws to claim they are justified in useing local property taxes to manage the operation of statewide grant programs for the Texas Education Agency (TEA). Really???? Who could possibly read the first two laws and come up with that statement? Certainly not someone who respects the rule of law so much that he has to sue to void primary elections just to make sure everything is “totally legal”! So, how much respect for the rule of law are the HCDE Superintendent and the Board of Trustees showing as it applies to TEC 18.26, 17.31 and 11.301? My favorite HCDE “interpretation” of the law, oops – I mean - HCDE’s respect for the rule of law is evident in their most recent “entrepreneurial venture” into cloud computing. TEC 18.25 directs HCDE’s Board of Trustees to determine the tax rate “required for (education) equalization purposes and the payment of administrative expense” in our county. But at their June 19, 2012 meeting, the HCDE Board of Trustees approved $1 million in next year’s budget to be used as venture capital to start a new HCDE business which did NOT even have a completed business plan to show the Board before the vote. The salary of the employee leading the program is paid by local tax dollars and the proposal to raise the $1million shown to the Board of Trustees by the Superintendent included a LOCAL TAX RATE INCREASE. According to the discussions during the HCDE Budget Workshop on June 19, 2012, after Harris County taxpayers risk over $1million of their education funds on the HCDE cloud computing venture, a venture that has no guarantee of success, HCDE plans to provide the cloud services to any schools that want it – any schools across the United States. It is patterned after HCDE’s “entrepreneurial venture” in construction called Choice Facilities Partners which used $284,106 of Harris County education funds for venture capital back in 2006 and now offers their services to any governmental entity or non-profit across the United States. That means the HCDE Superintendent and Board of Trustees have so much respect for the rule of law as it applies to TEC 18.25, that they feel comfortable using local education tax dollars to raise $1million for venture capital for a business without a finished business plan that will hopefully one day benefit students all over the country. So, where is the respect for the rule of law in this case? Probably not in the hearts and minds of the HCDE Superintendent or the Board of Trustees. I would like to know how the the Superintendent managed to keep a straight face when he told the Houston Chronicle that HCDE’s lawsuit is about HCDE making sure their elections are legal when HCDE seems to freely and loosely interpret the intent of Texas Education Law every single day. But there might be a silver lining in this HCDE lawsuit. Even though Harris County taxpayers will be forced to spend hundreds of thousands of their hard earned tax dollars to pay all the lawyers on both sides of this case, it may end up saving us hundreds of millions of dollars in the end. Because maybe, just maybe, our County Commissioners might finally take a hard look at this organization operating under the assumed name HCDE. Maybe our County Commissioners will finally study the laws under which HCDE is supposed to operate. Maybe our County Commissioners will compare how HCDE actually operates versus what the laws say they are supposed to do. With that little bit of due diligence, they might even get behind the citizen movement to shut HCDE down once and for all – as did all our surrounding counties decades ago. At the minimum, maybe our County Commissioners will help the citizens block the HCDE “education” tax rate increase expected in September to fund the $1 million cloud computing start up venture planned by HCDE. Last year, it was Don Sumners, our County Tax Assessor, who came to the aid of Harris County taxpayers by bringing the real tax numbers to the Board of Trustees meeting, thus preventing a needless tax increase. But conveniently, HCDE has included Don Sumners in their opportunistic lawsuit, so this year the taxpayers will be on their own – unless, of course, our County Commissioners do their homework and take appropriate action.